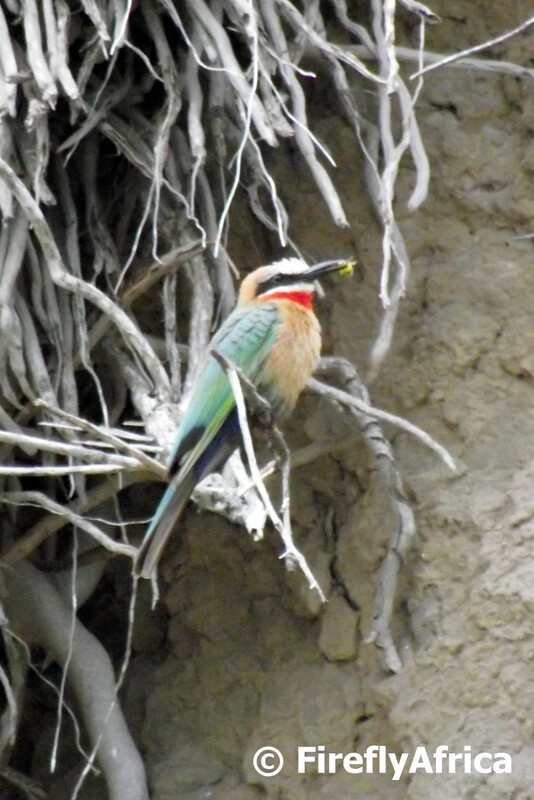 Bee eaters aren't very common birds around my part of the country, but there is a group of them that live in the river bank on the Sundays River near Colchester east of Port Elizabeth. I went on the Sundays River Ferry the other day and the captain pointed them out to us as we passed. Unfortunately it was dark and overcast and the boat was rocking, so the picture isn't very sharp. But I'm heading back on the ferry next week and hopefully the sun will be shining. 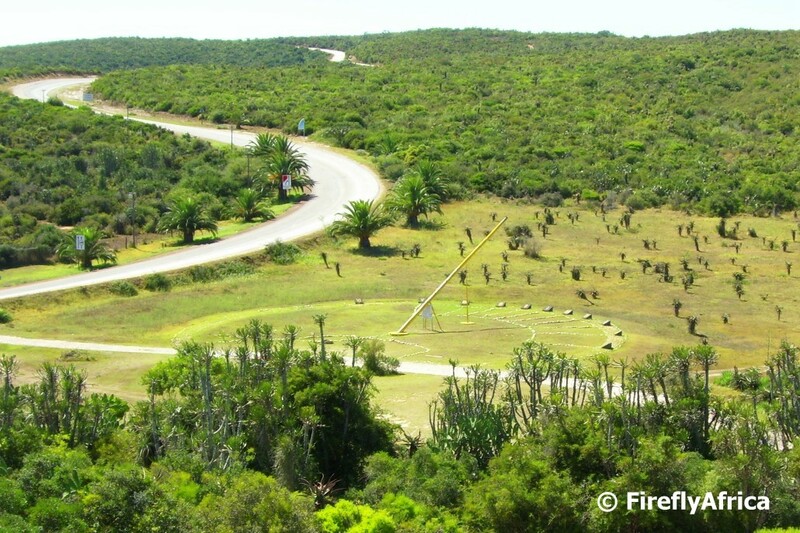 Kragga Kamma Game Park is probably the best place around Port Elizabeth if you only have an hour or two and want to see wild animals. 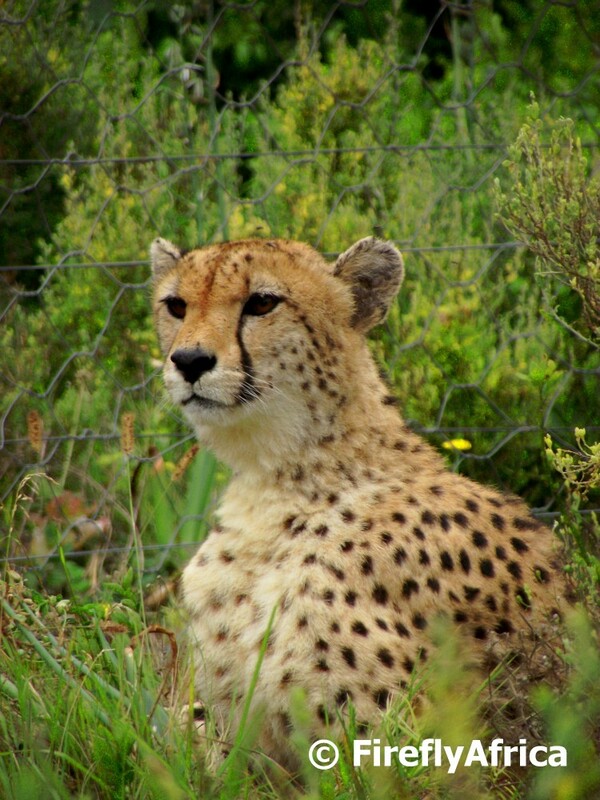 The park has a separate enclosure where they keep their cheetah which is part of a breeding program. Unfortunately for me this cheetah was sitting between me and the fence, so unfortunately the fence shows in the background of the picture. But I still love the pic. Old cemeteries hold a special place in my heart and I really enjoy exploring them where ever I encounter any. The old Scottish Cemetery in St Georges Park is probably one of the lesser known cemeteries in Port Elizabeth and some of the graves date back to the mid 1800's. Unfortunately for explorers like me this particular cemetery is locked most of the time, but I struck it lucky the other day. 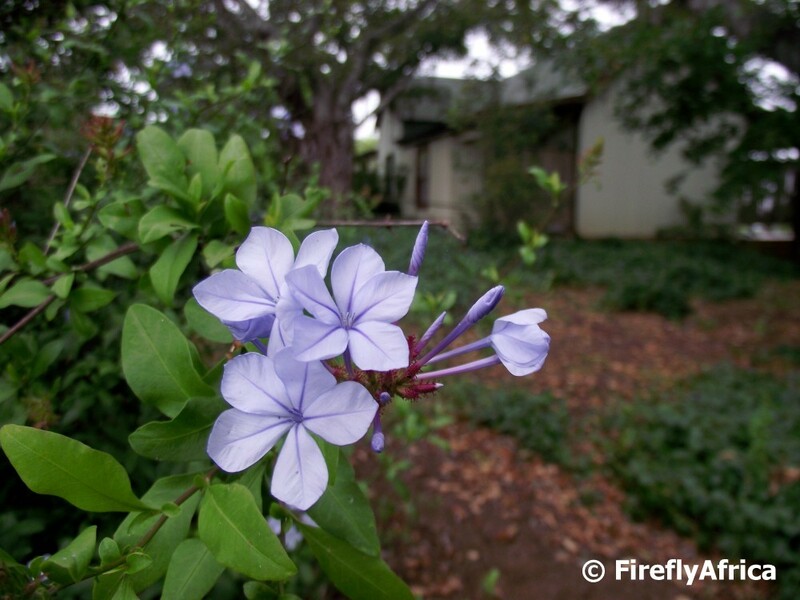 International visitors to South Africa, especially the British, are always amazed at the fact that the Plumbago grows so beautifully in the wild over here while they have to cultivate it with care back home. This one is growing semi wild but is being kept neat at Camp Figtree in the Zuurberg mountains outside Port Elizabeth. Sour Fig in full bloom at Kuzuko Lodge in the Eastern Cape. 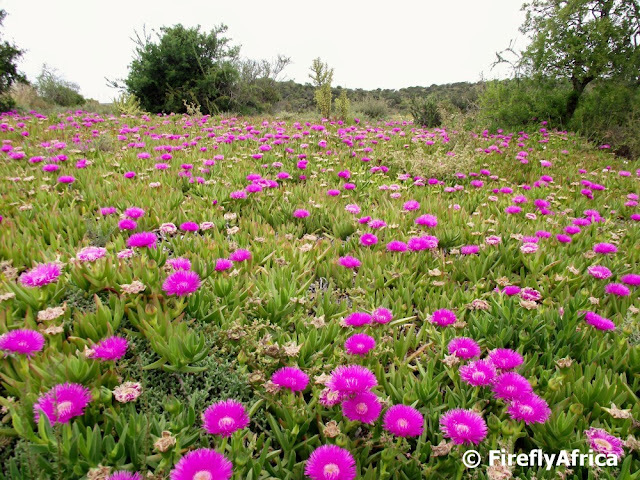 The Sour Figs grows on coastal and inland slopes from Namaqualand in the Northern Cape through the Western Cape to the Eastern Cape and is often seen as a pioneer in disturbed sites. 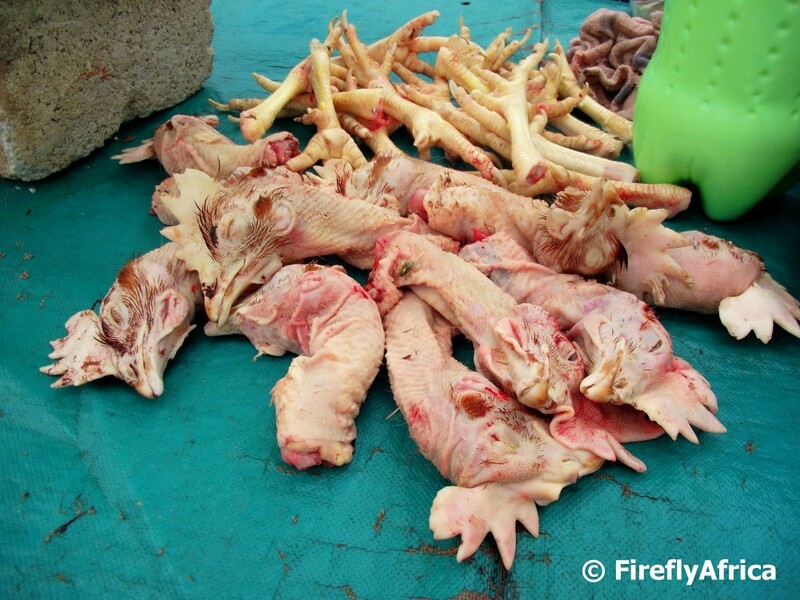 In yesterday's post on the corner butcher in the township I mentioned chicken heads and feet. 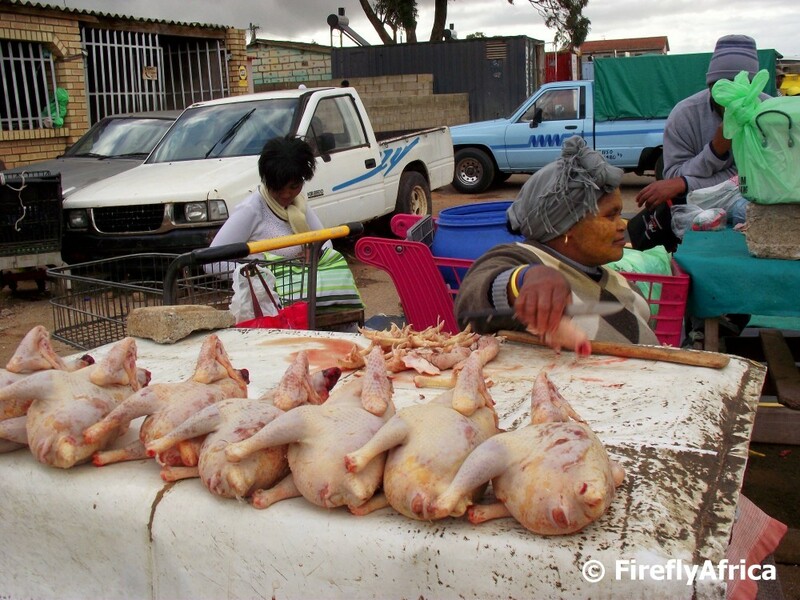 The heads and feet, referred to as walkie talkies, is a township delicacy and can be bought from the ladies selling chickens. The chickens are sold live or plucked (as in the picture). Once the chicken have been slaughtered and plucked by the ladies they are sold very much like you would buy them in the shop with the only difference being that they are freshly slaughtered with the innards still in them and not in a little bag. The heads and feet are sold separately and not along with the rest of the chicken and when you want to buy them just ask for walkie talkies. 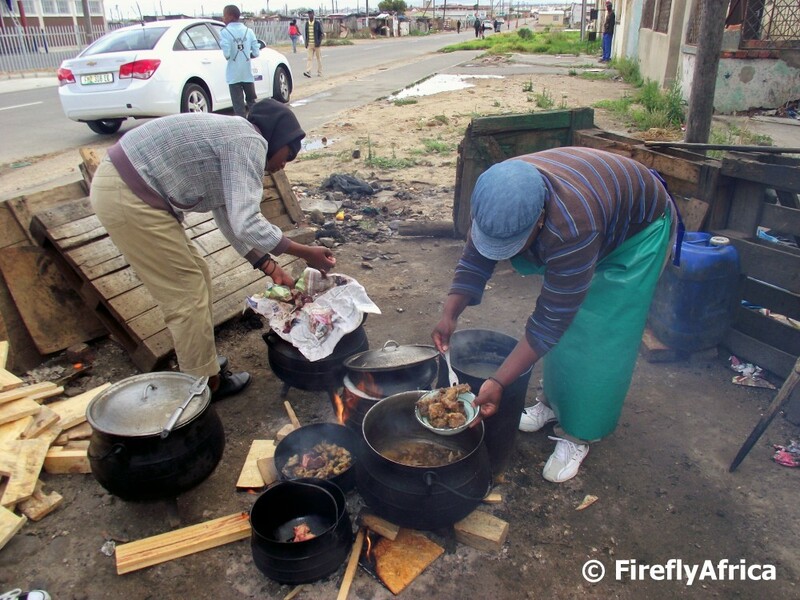 There is always something new and interesting to see around the next corner for somebody from the suburbs when visiting a township. This is even more so the case when you have a camera in hand and looking for those unusual photos to post. Although there are many of these around the townships, I have a particular butcher / take-away that I like to pop by (to look, not to buy from) when I'm visiting the Red Location Museum. Just down the road from the museum a couple of pots are cooking away in anticipation of the lunch time or going home crowd to come by and purchase a meal. 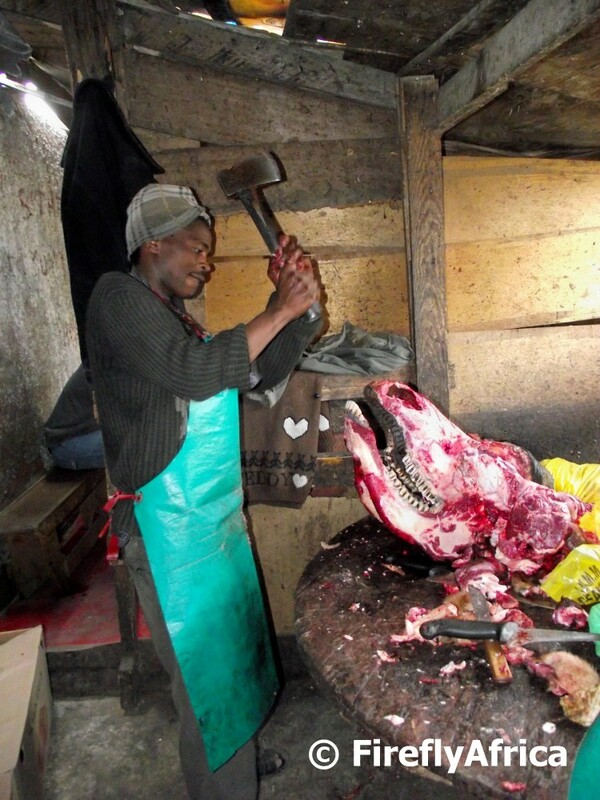 The contents of the pots range from chicken pieces and chicken heads & feet to cow liver and offal. ... and this is what we saw. The butcher hacking away at a cow's head trying to split it open, I imagine to try and get to the brain. 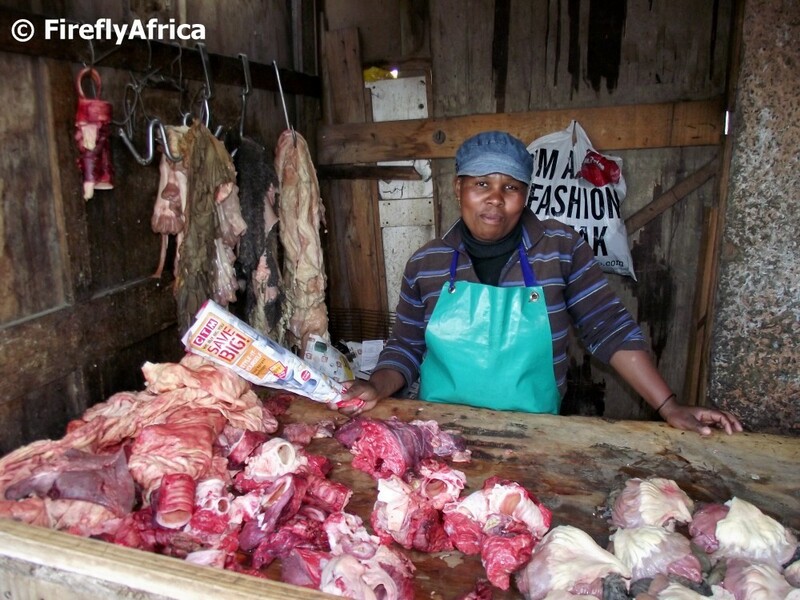 I know that half a sheep head with the brain in it (called smileys) is a township delicacy, so my guess is that its the same with half a cow's head. I often think that a lot of residents of Port Elizabeth doesn't realised what a fantastic game reserve they have in Addo Elephant National Park right on the city's doorstep. Where else can you go in early in the morning and see an elephant powdering her face before the crowds arrive? Huh? Jokes aside. I visited the park again late last week and it's amazing the elephant and other game sightings one can have in the park. There is really no reason to schlep all the way up to Kruger Park with what we have right on our doorstep. I'm not saying don't go to Kruger, on the contrary. But Addo offers residents and visitors to Port Elizabeth a stunning wildlife alternative to the big reserve up north. Just applying the last bit of make-up and she is ready for her audience. Life has a tendency to throw little surprises your way every now and then. I was accompanying a journalist from Argentina around Port Elizabeth for five days and as we were walking along Shark Rock Pier at Hobie Beach I spotted a couple of people next to the pier on the water's edge performing some kind of ceremony. We approached and respectfully waited for them to finish before we asked them what they were doing. They were traditional Xhosa healers performing a ceremony whereby they talk to God and their ancestors. 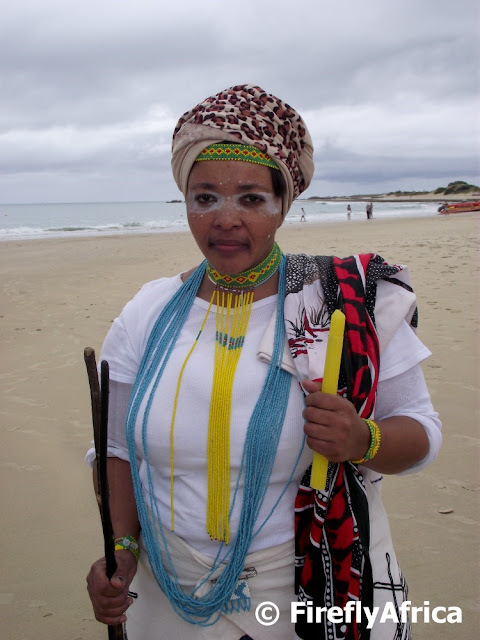 The Xhosa are Christens, but they also believe in their ancestors and that they ancestors watch over them as well. 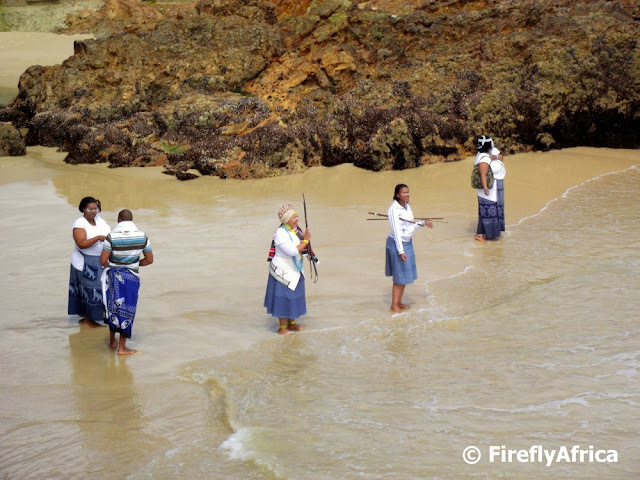 Even though they go to church on Sundays they also come to the ocean at times to connect with God and the ancestors without the congregation around them. During the ceremony they also throw beads and coins into the ocean as offerings to their ancestors while asking for their blessings. The senior traditional healer leading the ceremony was a very friendly lady called Nombolelo. She was more than willing to explain to us what they were doing as well as to pose for a photograph. I just can't seem to walk past a mushroom or bracket fungus (or a great number of other things for that matter) without stopping for a photo. This was the case again the other day and I am sure will be the case again many times in the future. From previous research (and nobody has told be otherwise yet) these are edible bracket fungus although I haven't tried eating it myself yet. Farm stalls isn't too rare a sight on South African roads and if you want to buy fresh fruit then these farm stalls are the place to get them from. Locals selling fresh fruit from the side of the road is a lesser common sight, but often seen in areas where fruit are gown. 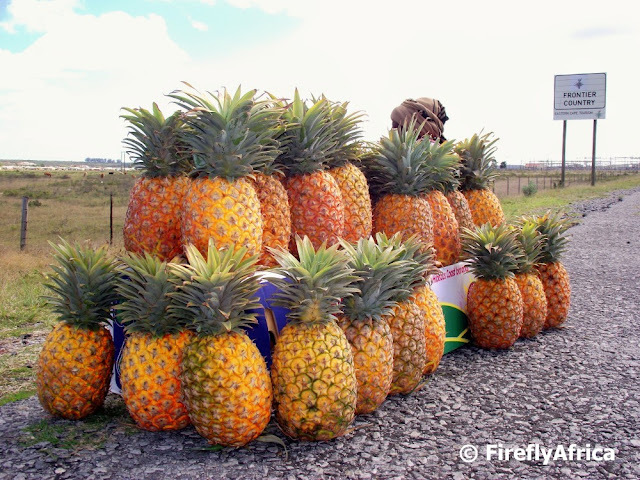 The Eastern Cape around the town of Bathurst is ideal for Pineapple growing and I found this roadside pineapple stall just outside of Grahamstown. A flooded mountain stream rushing under a suspension bridge in the Royal Natal National Park in the Drakensberg. 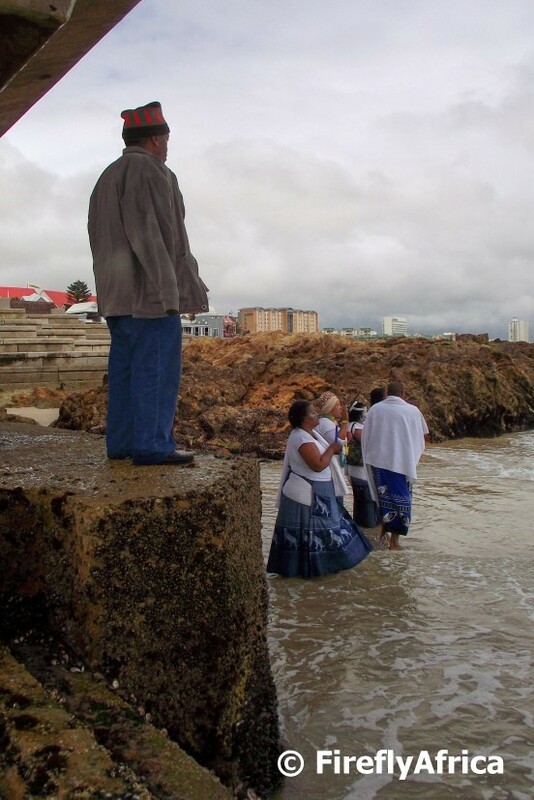 The area of South End in Port Elizabeth used to be a vibrant multi cultural suburb until it was destroyed by the Apartheid Government when its people were displaced in 1965 following the implementation of the Groups Areas Act. The South End Museum on the corner of Beach Road and Walmer Boulevard is housed in the old Seamans Institute Building and remembers the people and places of South End. One of the initiatives that they started was the South End Museum Heritage Trail which links a number of historic sites in the area on a self guided (or guided if you prefer it) walk. Across the road from the museum stands an old Wild Fig tree which is thought to be over 100 years old. The tree stands next to the then Chase Street and back in the days the kids used to climb the tree while the older people sat in it's shade. When the people were removed and the buildings in the area demolished, the fear was that the tree would also be chopped down or pushed over by a bulldozer. Luckily this didn't happen. As you continue on the trail you pass two mosques that, due to international pressure on the Apartheid government, weren't demolished along with the other buildings in the area. The one at the bottom of Walmer Boulavard is the Rudolph Street Mosque (Mosque of Righteousness) which was completed in 1894. One of the main attractions on the trail is the St Mary's Cemetery. 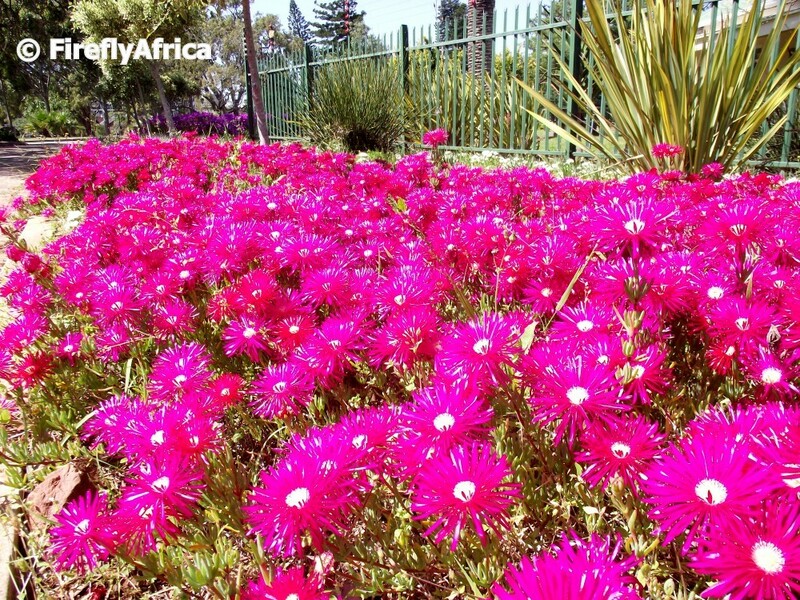 St Mary's is one of the oldest cemeteries in Port Elizabeth and a number of the graves belong to some of the original British Settlers that arrived in Algoa Bay in 1820. Overlooking the St Mary's Cemetery is the ruins of the St Peter's Anglican Church. St Peter's was completed in 1877 and even though the congregation of the church were been removed to the other side of the city they still came back to worship in the church to the dismay of the Apartheid government. To stop them from doing so it was decided to demolish the church. Although there are a couple of other sites on the route, the last one that I am posting about is the remains of the old Walmer Road. Walmer Road used to be the main road running through South End between the city centre and the suburb of Walmer. In those days the main hotels and businesses of the area were found along this road. Today only a small section of this old road is still visible at the top of Pier Street and is slowly being overgrown by the grass and other vegetation. Nature doesn't take nonsense from us people. Sardinia Bay in Port Elizabeth has a problematic dune that just doesn't want to stand still. A couple of years back a walkway was built across the dune to make it easier to get to the beach. But as soon as the walkway was completed the dune started swallowing it in until this short section was the only bit left. Vandals, probably looking for wood to braai with, did the rest after people were unable to use it anymore. This post isn't supposed to be a reminiscent one, but I can't help by starting off with going back in time. Ok, first way back in time and then a quick reminisce. The Victorian style Pearson Conservatory in St Georges Park was opened on 12 September 1882 and named after Mr HW Pearson, the Mayor of Port Elizabeth at that time. Twenty five / thirty odd years ago my mom used to have a stall at Art in the Park on the first Sunday of the month and I remember how me and my brother explored and played throughout St Georges Park. I use to just loved walking through the conservatory. Unfortunately the years weren't good to the old lady and recently it became time for a face lift AND a nip and tuck. 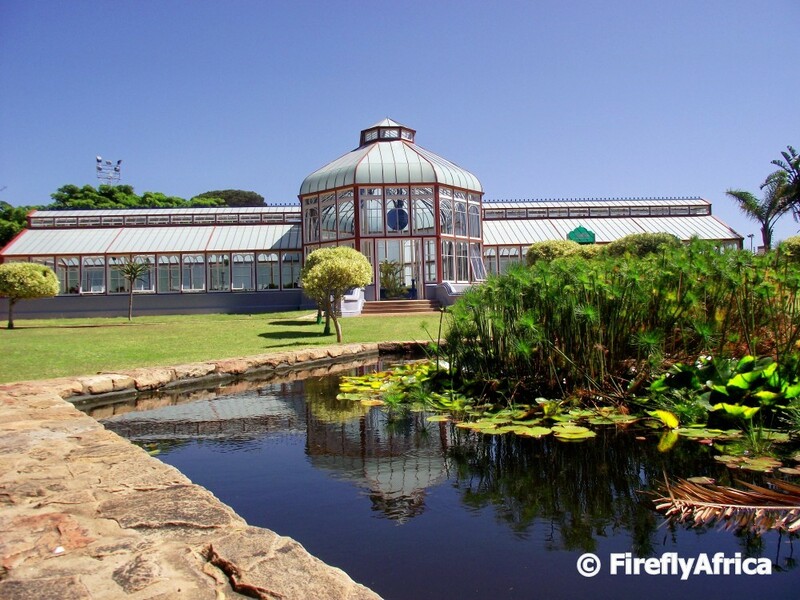 The Pearson Conservatory was reopened in September after the municipality had completed a R5,5million renovation of the building during which just about the whole building was taken apart and all the rotten timber was replaced and the steel structure treated and redone. 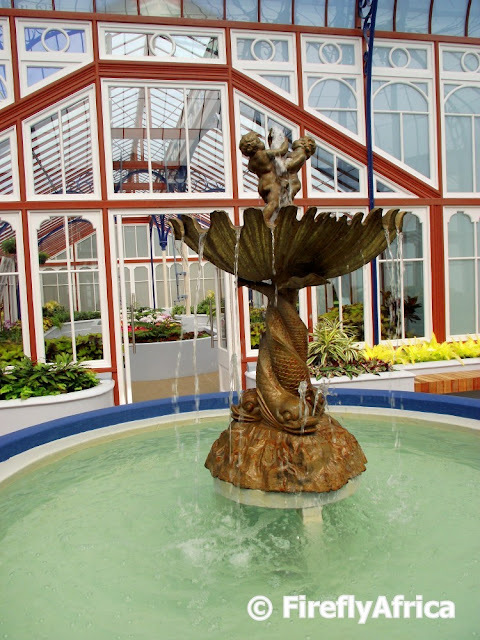 The original central fountain which was imported from the United Kingdom in 1882 still stands proudly in the centre of the conservatory. The flower beds inside the conservatory has been replanted and although the vegetation isn't is as lush as it used to be yet, the flowers on show are breathtaking. I can actually see how the conservatory could become a very popular spot for photographers with its variety of colours, lines and possible angles. 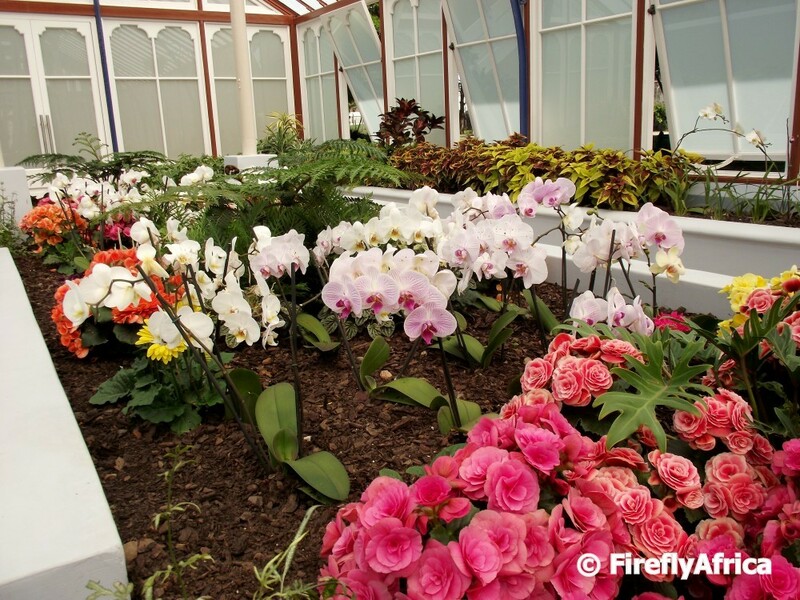 The "new" Pearson Conservatory is well worth a visit if you are in the vicinity of St Georges Park and looking for something to do. How many people still wear watches today? I stopped wearing one when I got my first mobile phone and it had the time on it. But before wrist watches, cuckcoo clocks and grandfather clocks there were clocks that didn't go tick tock. Sun clocks dials. And that is the topic of my "Random ... " post today. The Klein Karoo gets lots of sun so I'm sure you can check the time just about every day at this sun dial outside CJ Langenhoven's house (now a museum) in Oudtshoorn. Langenhoven's grave can be seen in the background. I know I took this picture in Somerset East but for the death of me I can't remember if it was at the Dutch Reformed Church or at the Angler and Antelope Guest House. The most unusual sun dial in the post comes from the town of Hankey in the Gamtoos River Valley. It claims to be the biggest sun dial in the Southern Hemisphere and was erected by a local farmer in 1989. The dial is 36,4 meters across and right next to the main road into the valley. 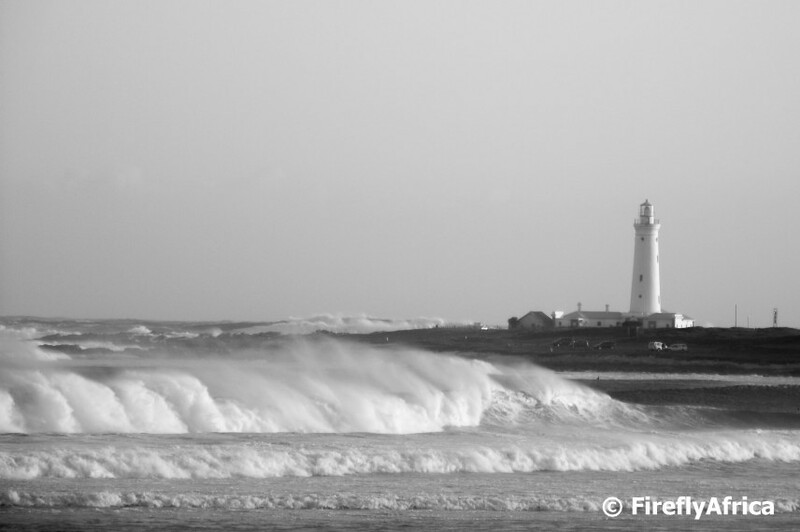 When the wind blows in Cape St Francis it doesn't hold back. Arriving in town for a function I actually thought that if the wolf in Three Little Pigs ever ran out of breath to huff and puff with, this would be a good spot come and stock up again. Not that its an every day occurrence, but everybody wants to show off every now and then and on this day the wind was showing off. Often when you go for a walk in the early morning you will see hundreds of little spider webs in the grass all covered in dew. But have you actually ever seen those spiders? I like to peek and have a look, always with the hope to get a photo of one. And the other day I got lucky. This little guy was sitting in the opening in the web, probably waiting for something smaller than me to come along. He didn't hang around long enough to find out my intentions, but just long enough for me to snap one picture. Got ya! About a week or so ago the afternoon sky was filled with the most beautiful cloud formation. Although I missed taking a picture of it at sunset, I did see on Facebook that a lot of other people did get some stunning ones. 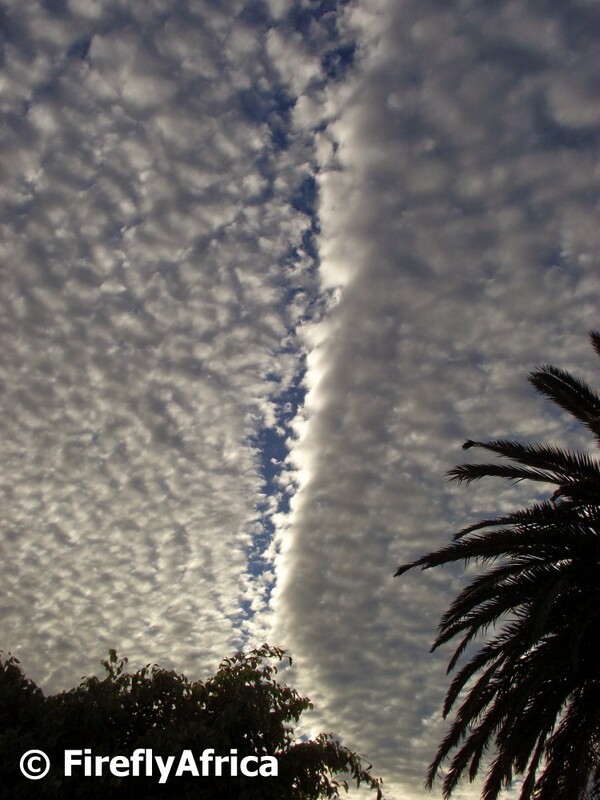 What I did get a photo of was what looked like a crack in the cloudy sky. As if the blue sky tried to muscle through the clouds. Not much to say about an orange shell lying on the beach.